Hera has a home! 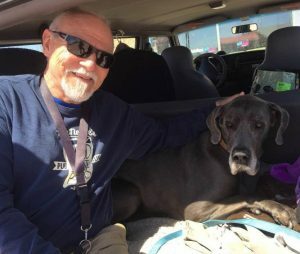 - Rocky Mountain Great Dane Rescue, Inc.
Hera has a home with her new family in Claremore, OK. Mark and his wife are elated to bring Hera home to their large piece of land. They have 4 others dogs in their home who live the life of luxury being able to romp through the pasture and follow Mark and his wife while they tend to the farm. The family works from home and are both able to provide loads of undivided attention to their animals. Way to go sweet Hera!! !